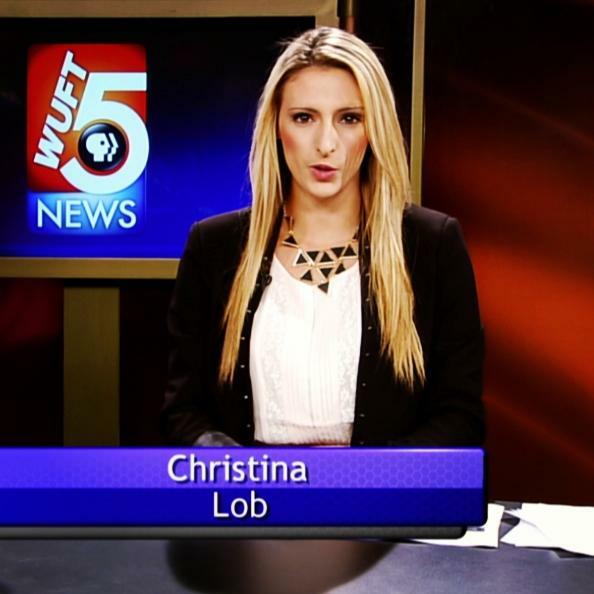 My name is Christina Lob. I am a third year senior at the University of Florida majoring in Telecommunication-News with a minor in Business Administration. I have always had an innate urge to communicate to people and tell them stories that may change the way they see the world, call to some sort of action, or simply spark their interest. I have always had a passion for sports, whether it be college basketball, NFL, or backyard baseball. But whether it is relaying the local news or reporting on a sports event- there is always a story to tell and I strive to be that voice. I have had the opportunity to tell these stories on several platforms including radio, television, and the web. My journey as a journalist began as I started working for Florida’s 89.1, a local NPR affiliate. Since then, I have interned with ESPN 850 in Gainesville and have delved into television news with WUFT-TV as a news reporter/co-anchor. I aspire to become a professional broadcast journalist and communicate with a wide range of audiences day to day.